Spending five months studying in New York was an enriching experience that challenged my idea of the United States. Before going into the nitty gritty of my experience, some background is needed as to why I decided to study in the US. Mid-way through the second year of my PhD in Law at the European University Institute in Florence it became obvious that I needed to spend some research time in the USA. Some of the leading scholars in my field of research are based there and it was clear time spent there would prove very useful. With the very generous support of the Fulbright-Schuman Program, I arranged a study visit at New York University’s School of Law. So in August 2017, I left Italy for the USA. My first stop was Atlanta, Georgia, for the Fulbright [Gateway] Orientation at Kennesaw State University. I had my first (of many) culture shocks as I made my way out of the airport. Waiting for me was the biggest car I had ever seen. It was like an airplane inside with each chair business-class style. Culture shock swept to one side, the next day I met the other Fulbrighters. Immediately, what struck me was not only that people had come from every corner of the world but that they were here to study an equally diverse range of subjects: electrical engineering, carbon emissions, investigative journalism, English literature, urban planning and many more. The orientation lasted a few days during which we were given inductions on what to expect in the classroom, the American education system and its culture in general. It was during this time that I got a real feel as to what to expect over the next months. After the induction classes, there were visits to some of Atlanta’s most important landmarks. 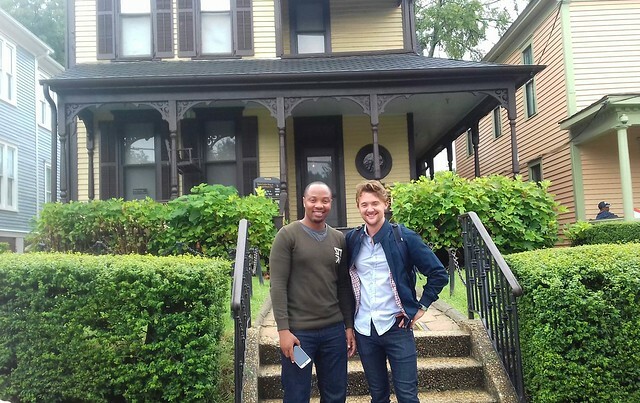 The highlights of which were the Martin Luther King Centre and the famous Mary Mac’s Tea House for some authentic Southern cuisine (in particular, proper fried chicken) and hospitality. Over these few days, I got to know a number of other Fulbrighters, saw a part of the country I may not have otherwise and was made to feel very welcome in the United States. All in all, the orientation week was a fantastic experience that I would encourage . New York in August is boiling hot so once settled into my Brooklyn apartment, I spent the next few days in Central Park and Rockaway Beach. Unfortunately, I had only a few days before I had to head to Washington Square Park to start my two-week introduction to US law. Again at NYU, I was met by students from all continents who had come to study here. My experience of the USA had been an international one so far. Introductory course completed (having passed my first exam in 6 years), regular classes started. The breadth of courses at the School of Law is very impressive with each being taught by a leading expert. I took three courses: Foreign Investment Law, International Trade and Investment Law and Money and Modern Capitalism. Additionally, I chose to write a paper for a separate Professor. It was in the classroom, that I had my biggest culture shock. Rather than being dispersed across a big lecture hall, which had been my experience as an undergraduate, we were sat around a table with the Professor. Throughout each class we were peppered with questions that pushed us to think again and directed our discussions down a particular path. Not only is this style very stimulating for students, it is effective for learning. Also, it exposes students to the opinions of others around and forces them to engage with those they may not agree with. When you have students from every part of the world, you will have different opinions on every issue. Having studied primarily in a European setting before, many of my preconceived ideas and views about both the US and the world were tested (and often dismantled) in this context. After one semester at NYU, I had a deeper knowledge of the legal issues relevant to my research together with, and perhaps more importantly, the capacity and open-mindedness to engage with someone that held a completely different perspective on the same issues. Outside of the class room, New York offers so much to do. Whether it is going to the museum of natural history, the MOMA or broadway production of nineteen eighty-four, there is simply an abundance of things to do in the “City that never sleeps”. A major benefit of being a Fulbrighter in New York is that you have access to whole range of events at discounted prices or even for free. One event that I went to early on was rooftop drinks for students in the New York area. This was chance to catch up with friends that I had met in Atlanta and to meet some new faces. Other events, that I attended were a Yankees game, Thanksgiving lunch, an American football match at Yale University and multiple concerts throughout the city. I also tried to cram in as much travelling as I could around the US. Flights are relatively cheap and buses even cheaper. In the space of five months I managed to visit Vermont, Niagara Falls, Philadelphia, Washington DC, Boston, San Francisco and the Big Sur. After this dizzying travel-itinerary, it is hard not to come away with an understanding of how diverse a country the USA is. Of course before leaving Italy, I knew it was a mix of different landscapes, communities and peoples. But to experience it is something altogether different. Summing up my experience in the US is not easy. It was a whirlwind five months in which I learned so much. I have been fortunate to study with leading US scholars, see some stunning landscapes and historic landmarks and live in one of the world’s most vibrant cities. However, the lasting taste left in my mouth is not one moment or particular place. Rather, it is a comprehension of what United States is. Often, Europeans get frustrated when Americans use the term “Europe” to lump very different countries into one group. After my experience, I realise Europeans (including myself) are guilty of the same in the opposite direction. In reality, the USA is just as complex and varied as Europe. Thanks to the Fulbright-Schuman Program I was able further my research and experience first-hand the culture of this exciting country; already I am looking forward to my next taste of it! 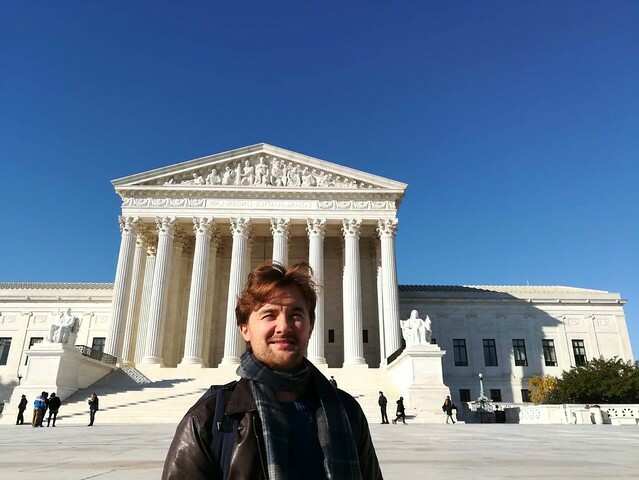 Luigi Predreschi is a 2017-2018 Fulbright-Schuman Visiting Student Researcher to New York University’s School of Law. Luigi was mid-way through his PhD in Law at the European University Institute in Florence, before he left to conduct further research in the USA. Articles are written by Fulbright grantees and do not reflect the opinions of the Fulbright Commission, the grantees’ host institutions, or the U.S. Department of State.